Whether you find yourself on the North Island or the South Island, New Zealand is known for its wild adventures on offer. Having said this, the abundance of lush green countryside, secluded beaches and dynamic mountain-scapes means there's no shortage of spots to take some time out to stop, relax and appreciate the breath-taking scenery. 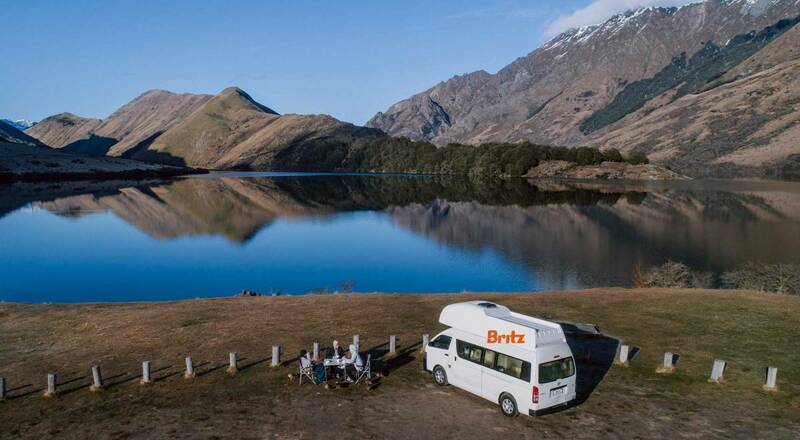 And as the weather turns warmer, what better time to park up your Britz camper and enjoy a picnic amongst the NZ landscapes? 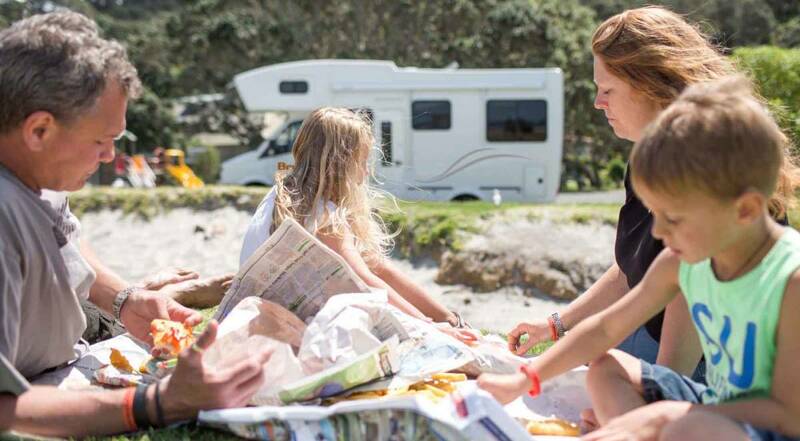 Some of our favourite driving routes in both the North and South Islands are chock-a-block with brilliant backdrops and lend themselves perfectly to pitching up and enjoying a snack. Here are our top picnic picks on some of our most popular driving routes. 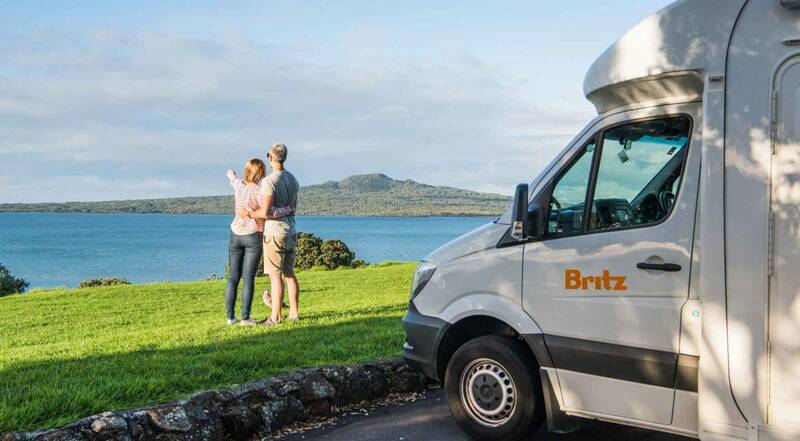 Rotorua – Rotorua is packed full with perfect picnic spots- you'll find yourself in this picturesque part of New Zealand on the Central North Island Tour. Work up an appetite with a swim in Lake Okataina before taking in the mesmerizing views whilst you enjoy your feast. Or try Rotorua Lakefront- watch the world go by on a picnic blanket before taking out a pedal boat on the lake and watch Float planes take off and land. 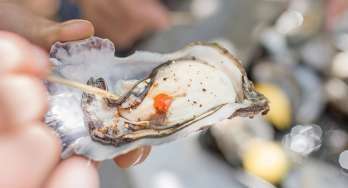 If you're around the Rotorua area on a Thursday, head to the weekly night markets less than ten minutes away from Lake Rotorua- this is where you can pick up tasty local produce to make up your picnic basket. Auckland – The North Island's busiest city might not be the most obvious picnic destination, but Auckland is brimming with quiet parks (4000 local and sports parks to be exact). When you're on the Northern Adventure drive, why not take the ferry to Waiheke Island for a real escape from the hustle and bustle of the city? Head through the Nikau track and set up a picnic with a world-class view of the Cascades Waterfalls. Alternatively, check out Tawharanui Regional Park, where 2kms of white sand and azure blue waters make for the most peaceful picnic destination. There are plenty of fresh markets every day of the week in Auckland where you can choose treats to make up your picnic – we'd suggest trying La Cigale French-style market on St Georges Bay Road in Parnell every Saturday and Sunday morning. Seasonal fruit and vegetables, loaves of bread fresh out the oven and delicious cheeses make the perfect spread as far as we're concerned! Hamilton - Deviate slightly off course on your way from Auckland to New Plymouth and head to New Zealand's top inland beach, Wellington St Beach, at the end of Jellicoe Drive. The large grassy areas make this an ideal spot for a picnic as part of a family day out or day in the sunshine with friends. 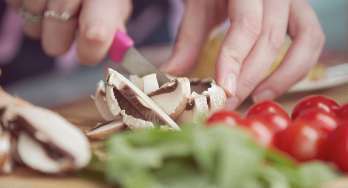 Stock up on picnic supplies at the Hamilton Markets, held every Sunday and just a ten minute drive away at the Te Rapa Racecourse. Wanaka – It's no surprise that beautiful Wanaka makes our shortlist, which you'll cross through if you're trying out our Southern Explorer route. There are plenty of places to check out if you're willing to take a hike, boat or heli ride but if you're looking for somewhere a little closer to the town centre, there are an abundance of spectacular scenes just a short walk or drive away. Make sure you stop by at Wanaka Farmers Market on the way to your chosen place – held every Thursday, the mix of indulgent pastries, healthy veggies and more-ish jams and pickles will mean you'll cater to even the fussiest of eaters. For the closest option to Wanaka's centre, stroll across the street to the lovely lakefront and pitch up here along the seemingly endless beachfront. Another 10 minutes outside of the town centre, Eely Point Reserve is another blissful spot. Share your space with happy joggers and dog walkers who also like to take advantage of this tranquil place, and don't forget to bring some food to throw on one of the many BBQ stations available. It's impossible to choose just a couple of spots in Wanaka- if you're staying for a couple of days or more, Mount Iron, Wanaka Station Park and the end of Beacon Point Road are also worth heading to with your picnic basket in hand. Lake Clearwater – In the Canterbury region of New Zealand, find peace and solitude at Lake Clearwater where motor-powered craft is forbidden. Instead, soak in the atmosphere on your picnic rug as you watch windsurfers, kayakers and rowers venture out on the crystal clear waters. Don't forget to pack your camera for this picnic trip, as the Canterbury high country offers magnificent mountain views. Veer slightly off track from The West Coast Road itinerary or the Christchurch to Queenstown routes to reach this little slice of paradise, and stop off at Methven Farmers Market on your way to pick up some gorgeous artisan foods. Queenstown - it's unlikely you'd head to South Island and not spend some time in Queenstown. Aside from our Southern Explorer Road Trip, you'll find yourself passing through this resort town if you take our Northbound Scenic Sights route, which will also take you via Christchurch and Wanaka. 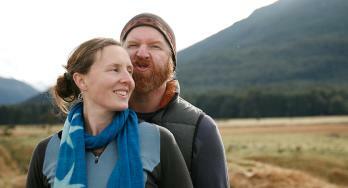 Fifteen minutes outside of Queenstown in the car will get you to Lake Hayes, which locals will tell you is a must-see. Do the two-three hour walk around the lake before settling down for a picnic overlooking the dramatic backdrop of the Southern Alps that Queenstown is famous for. Alternatively, drive 45 minutes outside of Queenstown to Glenorchy, where many of the Lord of the Rings scenes were filmed. After picking up some goods at the Glenorchy Showgrounds Sunday Markets, walk off a picnic lunch with the one hour loop around the lake and immerse yourself in the magic of Middle Earth.